United States lead prosecutor, attorney Amy LeCocq attempted to subpoena Dr. Ralph W. Moss, Ph.D.
Ackerman: “So in other words that was just a charade“ ? “Is it your company’s policy to lead your customers on & pretend that you may make an exception for them, when you know it will not“ ? Ackerman: “Do you know what the Golden Rule is” ? “[A] child had to die from apparent sodium overload” ? 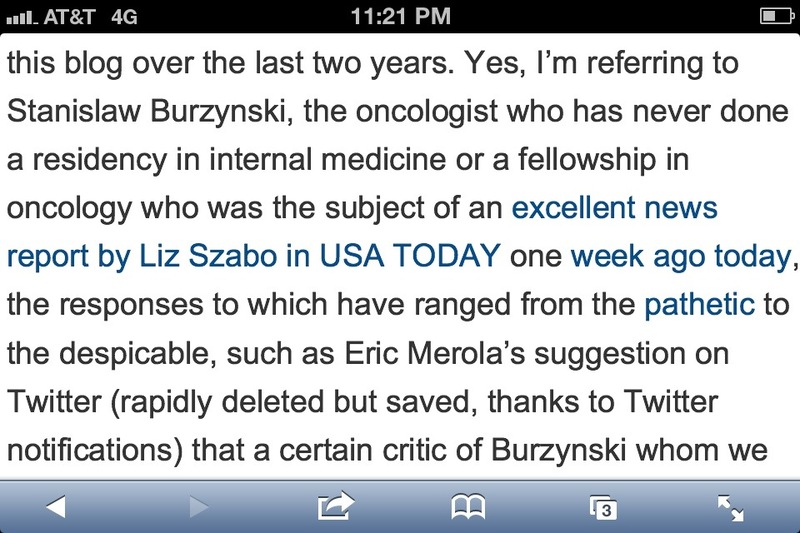 GorskiGeek, I guess Burzynski could have been talking about you, or your fave biochemist, Saul Green ? 1. Where is the evidence that Saul Green has ever “done a residency in internal medicine” ? 2. Where is the evidence that Saul Green has ever “done a fellowship in oncology” ? 3. GorskGeek, are you now, or have you ever been, a communist ? 4. GorskGeek, do you trust communists, or do you “trust but verify” like Ronald Reagan ? 5. GorskGeek, are you a hypocrite ? 1. Lose this criminal case for the United States Gubment ? 2. Win this case for the United States Gubment ? Well, at least it looks like Amy Lecocq got herself involved in something she might actually be knowledgeable about !